R&BM are able to collect and distribute large quantities of obsolete/slow moving inventory across multiple discreet locations. We are able to re-work and re-label stock to meet EU legal requirements with our IOS approved partners. R&BM are able to buy across product categories and do not have limitations on the brands we can purchase. 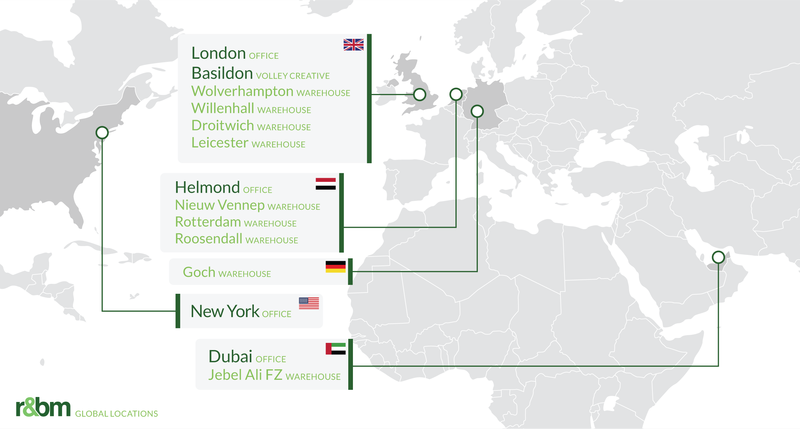 We have direct relationships with 1000’s of EU independent brick and mortar retailers. R&BM have the financial structure to pay up front for all obsolete and slow moving inventory not needing to arrange credit facilities. 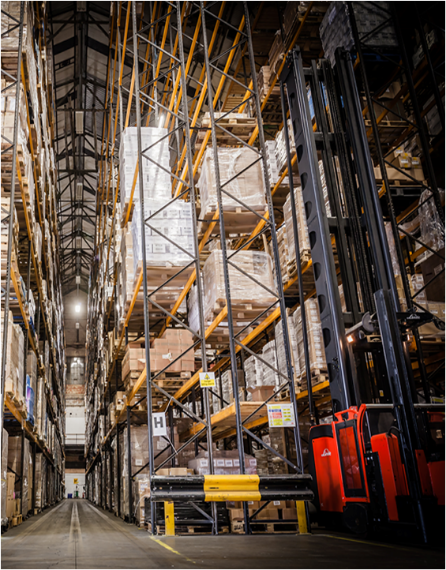 R&BM have the logistics structure to store stock over extended periods of time releasing obsolete and slow moving inventory into the market slowly and discreetly into appropriate channels. The picture to the right is of one of our actual logistical centres in 2017.